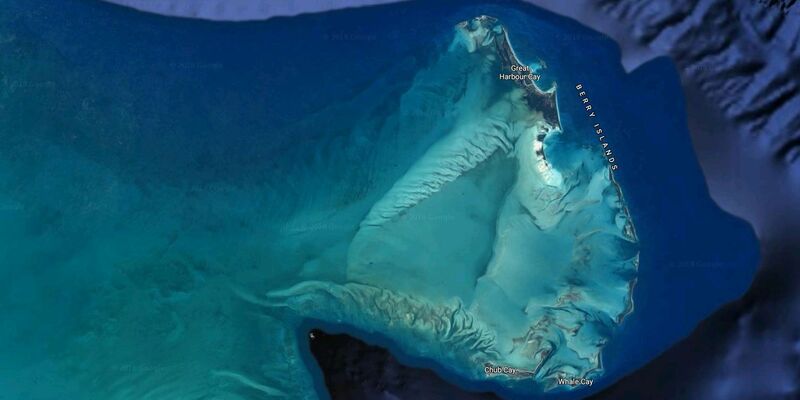 Chub Cay is at the southernmost tip of the Berry Islands in the Bahamas. 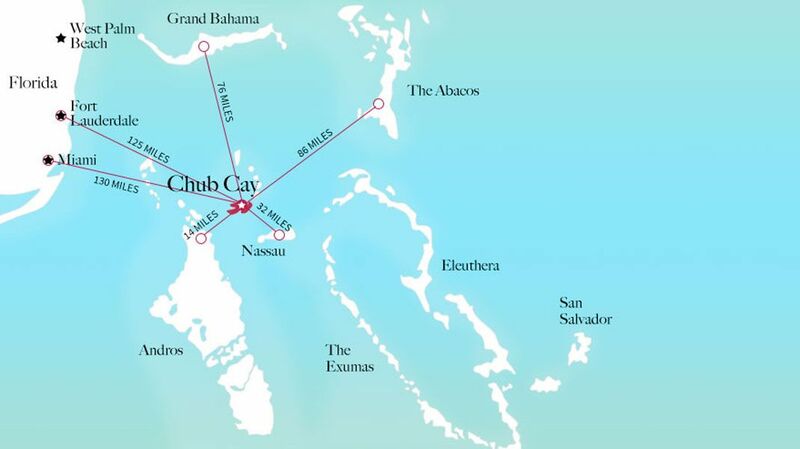 Chub Cay is located 35 miles west of Nassau and 125 miles from South Florida. This thousand-acre island retreat includes the Chub Cay airport and Marina, which are Bahamas Ports of Entry with on-site customs and immigration. The most convenient trappings of civilization at your disposal combined with the utter serenity of your own exquisitely privileged hideaway at Marlin Villas, and all within walking distance (2 blocks) of the Chub Cay Resort and Marina. Marine life around Chub Cay is prolific with an abundance of coral reefs, World-class billfish, bonefish, permit, dolphins, turtles, lobster and conch calling the waters surrounding Chub Cay home. Less than a mile from Queens Beach sits a popular reef called the aquarium which boasts the reputation of having the greatest number of exotic fish in all the Bahamian family islands. Outstanding diving and snorkeling opportunities abound. Chub Cay is short boat ride to the world's third largest fringing barrier reef, the Andros Barrier Reef, where you can snorkel and dive to see some of the world's most exotic fish species. The Berry Islands are a cluster of 30 relatively undeveloped and many uninhabited cays. These islands have come to be known as the fish bowl of the Bahamas. Divers and Snorkelers can explore many of the ocean reefs in and around Chub cay including the famed Mamma Rhoda Reef which is an amazing shallow water reef(16ft). Mamma Rhoda, situated merely yards for Chub Cay ,is home to moray eels, lobsters and many of the Bahamas most exotic fish. Visiting the enormous 600ft. blue hole of nearby Hoffmans Cay is a treat in and of itself. When at Hoffmans cay you can visit nearby Little Harbor Cay and enjoy lunch or dinner at the famous Flo's restaurant where Chester can prepare especially for you some of the freshest and finest Bahamian fare the islands have to offer. For shelling you can visit Sand Dollar Hill or Sandy Point for some of the most amazing shell treasures. You can visit great Stirrup Cay which is the home to an enchanting lighthouse that dates back to 1863 or you can explore the many uninhabited Berry Islands and embark on your own unique sense of adventure.